WSWM0202​ - Anti-fatigue, Polyurethane Floor Mat with Low Profile Beveled Edges. Size 2' x 2' (24" X..
Anti-fatigue, Polyurethane Floor Mat with Low Profile Beveled Edges. Size 2' x 3' (24" X 36") Vig..
WSWM0502​ - Anti-fatigue, Polyurethane Floor Mat with Low Profile Beveled Edges. Size 2' X 5' (24" X..
WSWM0702​ - Anti-fatigue, Polyurethane Floor Mat with Low Profile Beveled Edges. Size 2' X 7' (24" X..
WSWM1003​​ - Anti-fatigue, Polyurethane Floor Mat with Low Profile Beveled Edges. 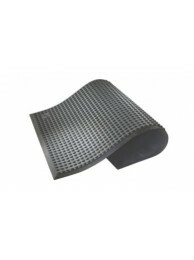 Size 3' X 10' (36"..
WSWM0303​ - Anti-fatigue, Polyurethane Floor Mat with Low Profile Beveled Edges. Size 3' X 3' (36" X..
WSWM0803​​ - Anti-fatigue, Polyurethane Floor Mat with Low Profile Beveled Edges. Size 3' X 8" (36" ..
WSWM0903​​ - Anti-fatigue, Polyurethane Floor Mat with Low Profile Beveled Edges. Size 3' X 9" (36" ..
WSWM0804​​​ - Anti-fatigue, Polyurethane Floor Mat with Low Profile Beveled Edges. Size 4' X 8' (48"..